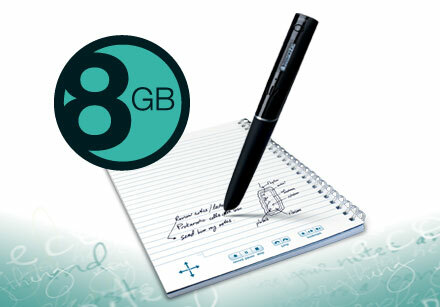 8GB PULSE SMARTPEN ECHO - Record and Play Back everything you write and hear. Then replay the recorded audio by tapping directly on your notes. Save your notes to your computer and search for words within your notes. Send notes and audio directly from your smartpen to Evernote, Facebook and your desktop.